College is about more than just a degree. It is an investment in your future. The liberal arts education you will receive at Wartburg allows you to not only gain the skills required from your chosen field of study, but also the critical thinking skills required to explore the ethics of decision-making and community engagement, effective communication, cultural competence, and collaboration. 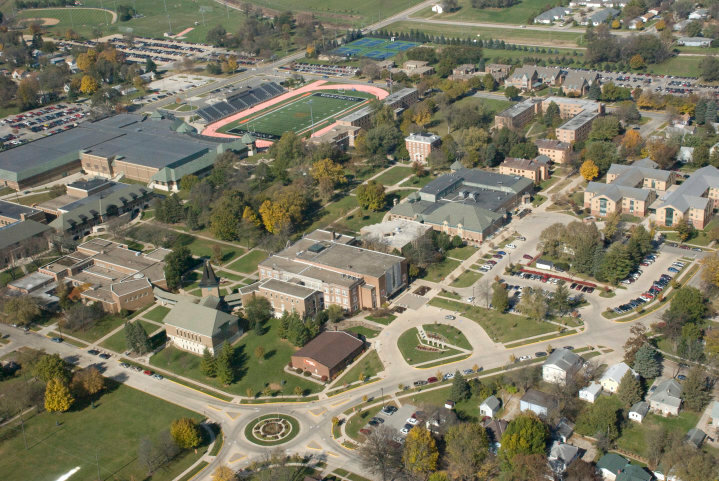 Wartburg College is a liberal arts college of the Lutheran Church (ELCA). You don’t have to be Lutheran, or even Christian, to appreciate the way a Wartburg education will help you discover meaning and purpose in your life. Many colleges work from a common creed or statement of belief where faith is imposed. Other colleges keep faith out of community life entirely. At Wartburg College, we use the Lutheran approach to education, which builds a community around a lively and inclusive conversation of faith and learning. Martin Luther, who sparked the Reformation in 1517, was both a pastor and a university professor. He wrestled with the bigger questions of life and how faith could truly change the world around us. Because of our Lutheran theological perspective, we want you to also wrestle with these big questions as you work through your four years at Wartburg. We invite and encourage conversations with people of diverse backgrounds and with differing spiritual perspectives. In turn, you will learn more about your own beliefs and values. Endowed faculty positions: 2 distinguished chairs, 11 endowed chairs, 1 distinguished professorships, 4 endowed professorships. One of two colleges in Iowa to be nationally recognized by the National Council for Accreditation of Teacher Education for its elementary education program. What is a Graduation Rate? This can be a very confusing concept. Basically, this is the percentage of students who actually complete a degree at the institution. Most reports online will show a 6-year graduation rate, which is the percentage of full-time students received their bachelor’s degree within six years, which has become the average length of an undergraduate education at many universities. This is NOT true at Wartburg College. 93% of our graduates finished their degrees in four years. Of the full-time students who started at Wartburg, 63% will complete their degree at Wartburg, which is considered a very high graduation rate. In the past 10 years, Wartburg has had graduation rates as high as 70%. Why compare five years at state schools to four years at Wartburg? The reality for many students is it will take four-and-a-half to five years or more to earn a degree at a state school, according to national statistics. At Wartburg, 93 percent of our graduates complete their degree in four years. If you have a talent for numbers and a desire to work in business, a career as an actuary may be for you. Consistently rated as one of the best jobs in America, an actuary uses mathematical models and analytic skills to assess financial security and quantify risk. Wartburg’s rigorous program—grounded in economics, finance, and mathematics—prepares students for a successful career in the world of risk management. Biochemistry, by textbook definition, is an effort to understand biology through the context of chemistry. Biochemistry lectures at Wartburg College topically include macromolecules, enzymes, and human metabolism. Techniques taught in biochemistry laboratory are utilized in many fields, including microbiology, forensics, neurobiology, and cancer research. Through a dynamic curriculum that includes flexibility of course choice to match your interests and a research component anchored by a state-of-the-art science facility, a Wartburg biochemistry degree will uniquely prepare you for a career in health, research, biotechnology, or education. A degree in biology from Wartburg College is well-recognized around the nation. The Wartburg Biology Department prepares students for a wide variety of careers, including health professions, research, teaching, biotechnology, and fields involving global and environmental issues. We teach what science is, not just the knowledge it has produced, with inquiry-based learning. As part of your education at Wartburg College, you will work through many of the ethical challenges now confronting the business world. You’ll be prepared to make and stand behind difficult decisions and gain hands-on experience sought by many employers. You’ll also find career opportunities in today’s fast-paced business environment in fields like public or private accounting, finance, international business, government service, healthcare management, marketing, and nonprofit organizations. Chemistry prepares you for success in many science-related occupations. You have the opportunity to learn in a state-of-the-art Science Center. Companies, organizations, and institutions looking for people with hands-on experience seek Wartburg chemistry and biochemistry graduates. The department has a 100 percent placement rate. Experimentation and research are at the heart of the Wartburg chemistry program. On campus, students use modern instrumentation in coursework and individual research. Chemistry faculty members are effective teachers and advisers, and small class sizes enable faculty and students to become well acquainted. If you have a passion for challenging coursework, practical applications, and problem-solving, a Bachelor of Arts degree in computer science or computer information systems may be a great option. A degree in education offers exciting opportunities. A degree in education at Wartburg offers outstanding classroom experiences. You can use your talents and abilities to become an effective and reflective teacher in a life of professional service and leadership. You will find job opportunities in education at any level, from pre-kindergarten through 12th grade. The Environmental Science and Studies major is a two-track (science and studies) interdisciplinary program rooted in the natural and social sciences and designed to provide students with an understanding and application of the integration of multiple disciplines in solving complex problems arising at the interface of human existence with the rest of the natural world. The Art Department provides Wartburg students the ability to communicate with discipline and imaginative understanding of the visual world and its design. Through appreciation, experience, and production, art students broaden their creative and critical abilities and share these new skills through creating works of art. The Art Department offers a variety of academic and studio courses in traditional and technology-based media. The limited size of classes and open attitudes of faculty encourage individual attention and a close working relationship. Through advanced courses and independent studies, students may pursue individual interests. If you have a passion for challenging coursework, practical applications, and problem-solving, a Bachelor of Arts degree in mathematics may be a great option. A major in psychology will prepare you for positions in human services, research, and education-related fields. The program approaches psychology as an academic discipline, a profession, and a science. The sociology major prepares students for a lifelong personal commitment to society and for a diverse range of careers in the public and private sectors or for graduate study. The sociology major is available through the Social Sciences Department. Social science courses offer experience in project-based coursework and opportunities for original scholarly research, incorporating field trips and off-campus study throughout the United States and abroad. Take part in a May Term experience, where students spend four weeks abroad, combining intensive language study with faculty-led excursions to sites of historical and cultural significance. Employers today are seeking engineers who are more than just technically competent. They are looking for graduates who can write and speak effectively, who are team players, and who can see the “big picture.” These are the kinds of engineers that Wartburg graduates. Unlike university curricula, Wartburg’s Engineering Science program emphasizes the breadth of background over narrow specialization. 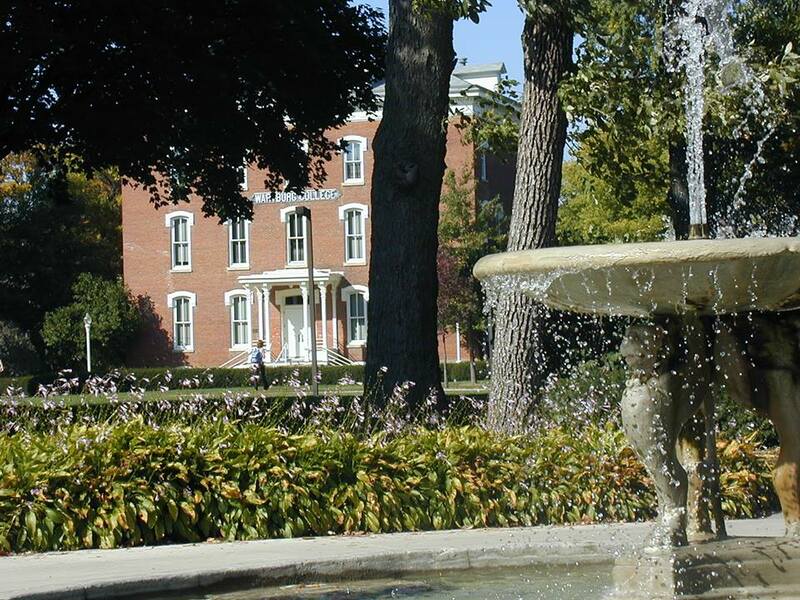 Unlike engineering programs at most other liberal arts colleges, the program is a four-year bachelor’s degree that does not require further study at another institution before seeking industrial employment.